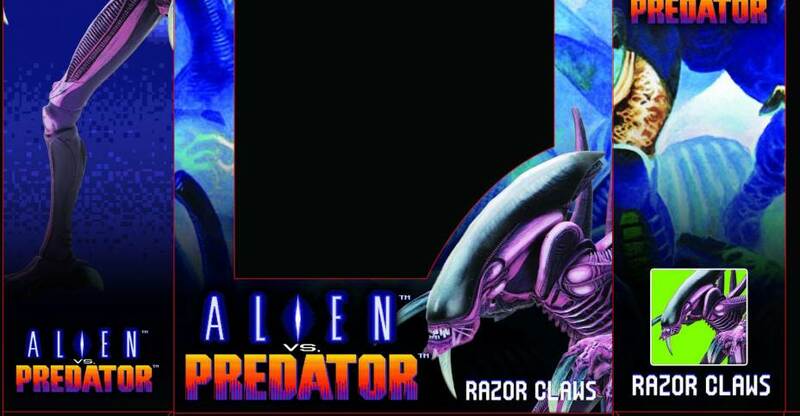 Here’s a work-in-progress preview for NECA‘s upcoming packaging for the Alien vs Predator Arcade Razor Claws Alien. The figures will be packed in collector friendly window boxes, with artwork very much inspired by the classic arcade game. 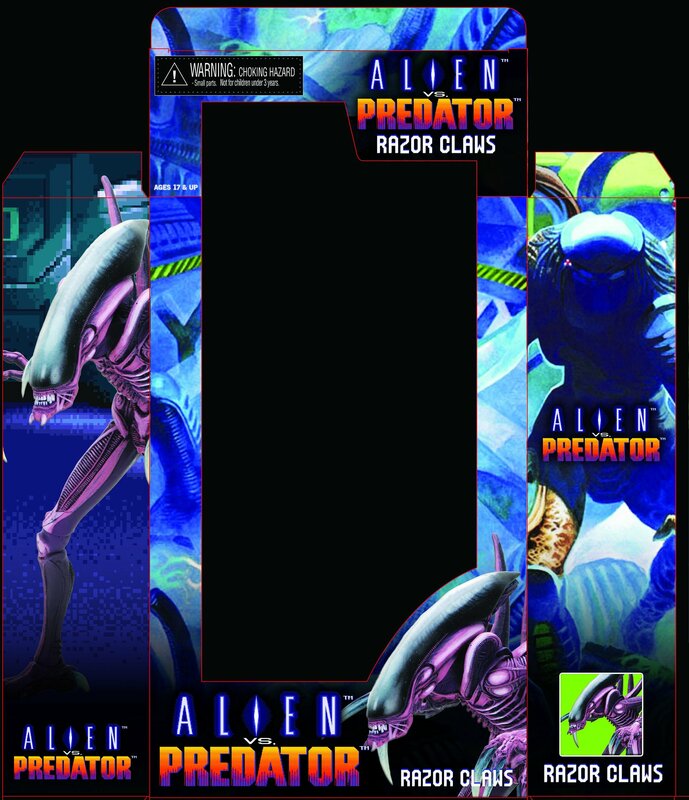 The Aliens assortment is scheduled to hit in November, with the Predator assortment to follow in January.